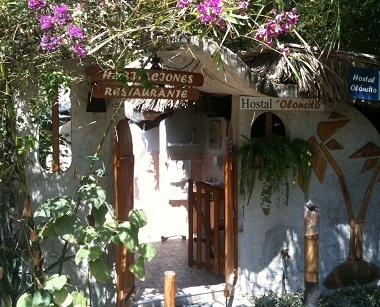 “Hostal Oloncito” is located in Oloncito (Olón) on Ecuador’s Pacific coast. 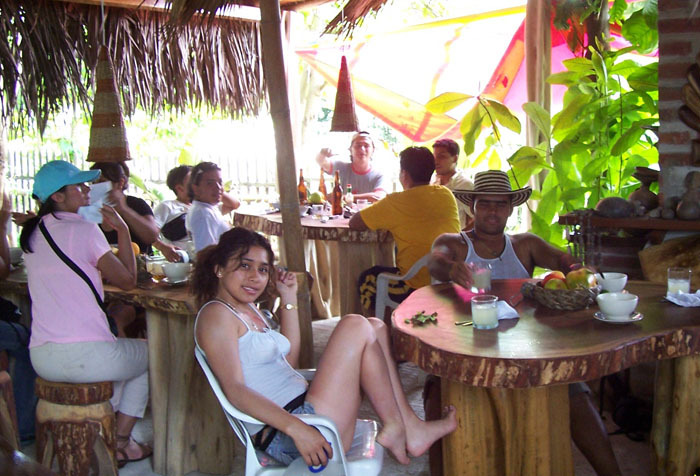 It connects with the famous and beautiful road “Ruta del Sol” and is just 3 minutes away from Montañita, which is the centre for nightlife. Just a church on a huge cliff separates the two villages Olón and Montañita. 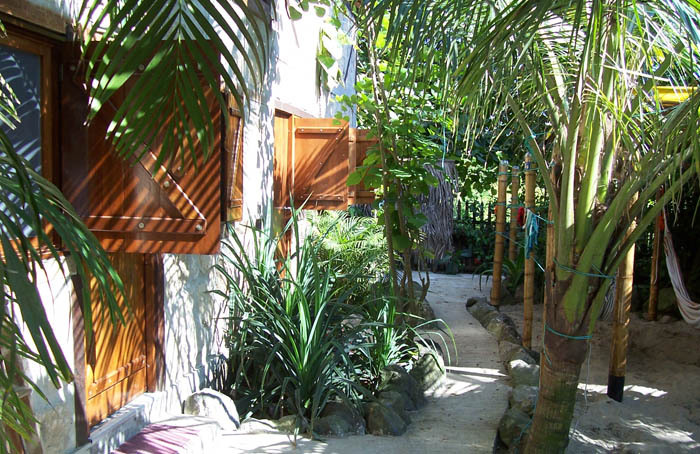 The hostel is more specifically located along the estuary with its ecological park, and south from village Olón with its native art and culture. 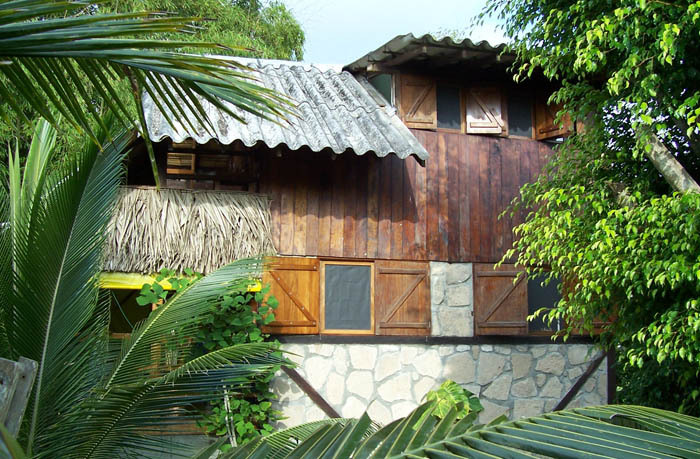 Behind Olón and “Hostal Oloncito” you’ll find the mountains and its beautiful waterfalls, and further more the jungle, which houses more than 460 species of bird. 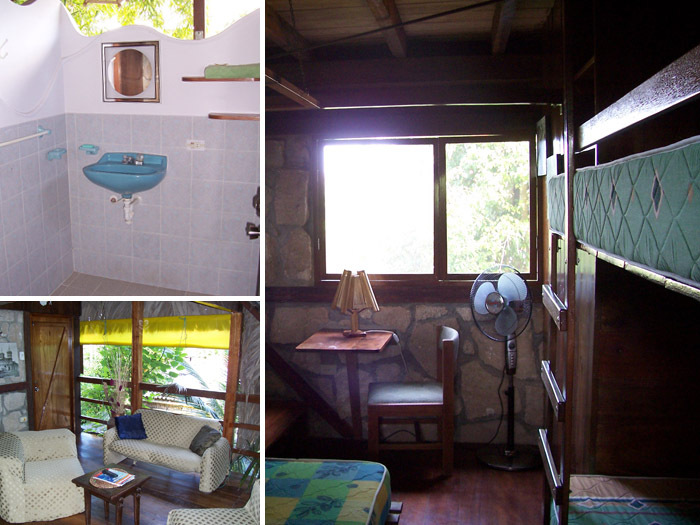 The hostel is situated in tranquil place where you can relax and take long walks at virgin beaches that stretches for kilometres. 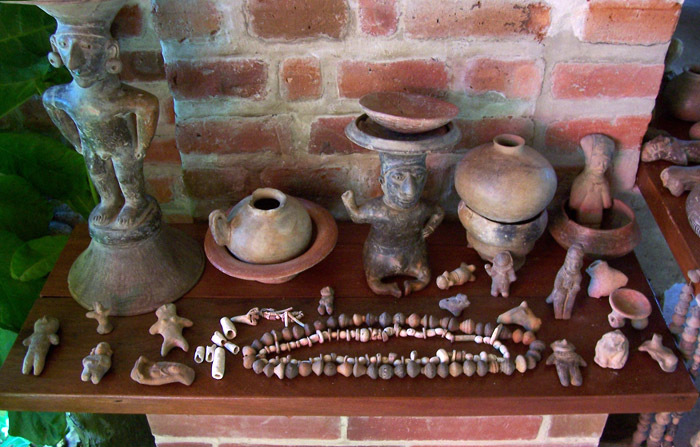 For more information on how to get there, click here. 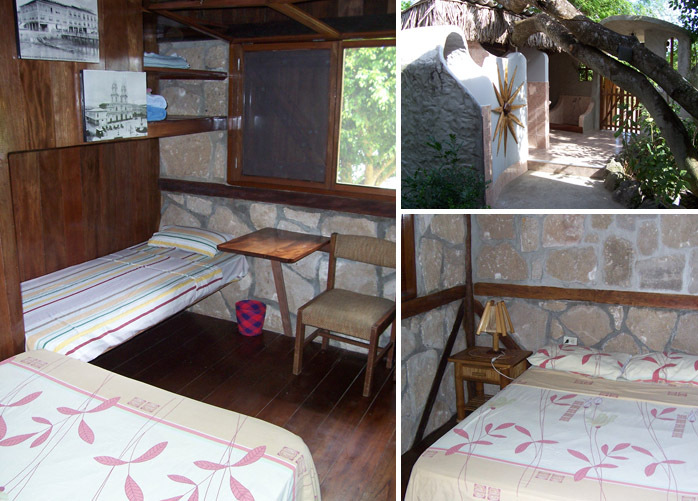 We have rooms for 1, 2, 3, 4, 6 and 8 persons. 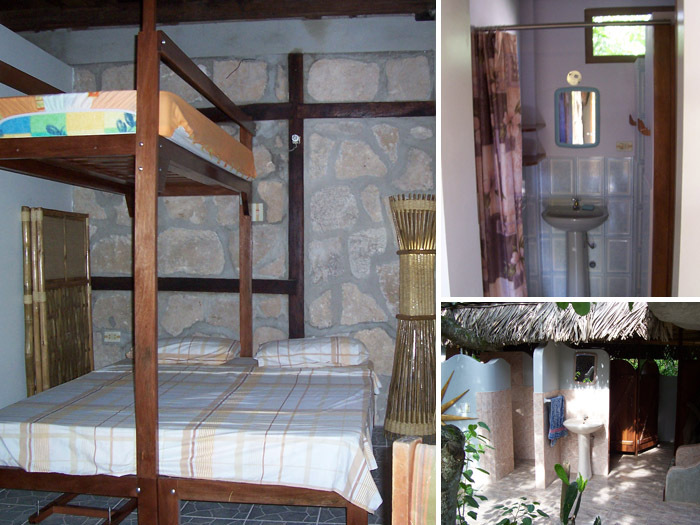 Every room has an en suite bathroom with hot water, shower, toilet and basin. We also have a terrace to relax, read or socialise with other guests. We are happy to offer economic prices for longer stays or larger groups and families, see our Price List here. 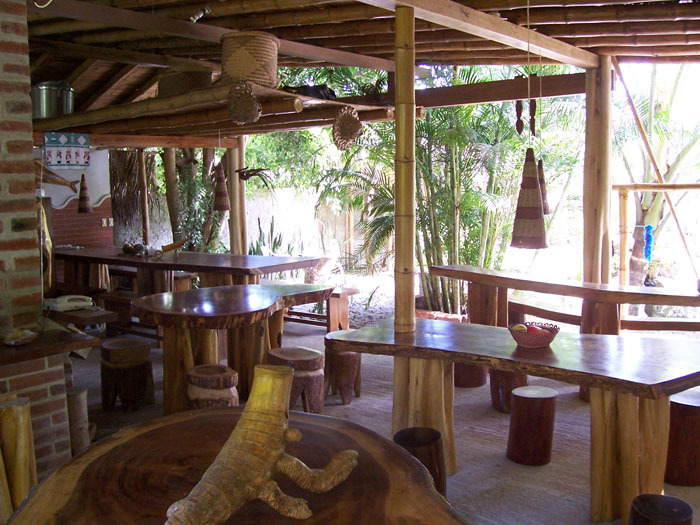 The restaurant is constructed from bamboo, trees and bricks. 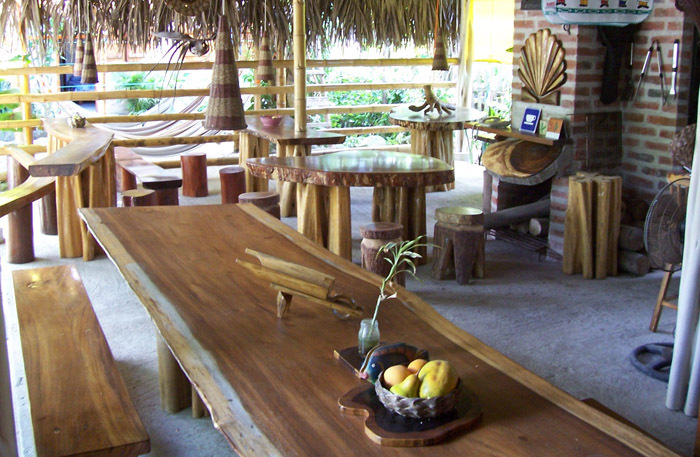 The tables are kept with the trees original round shape. One of the tables is over 4 meters long and almost 1 meter wide, and can have up to 8 people sitting around it. There’s an oven made with bricks with a rustic lock and are used to bake our own organic bread and to smoke our delicious organic meat and fish specialties. We offer breakfasts, lunch buffet and in the evenings it’s possible to choose courses from the menu. We also make organic wholemeal bread, sausages and fish, and many other specialties from the sea. This features an exotic wedding with the ceremony in the church on the cliffs, with the party on the beach and then the hostel. 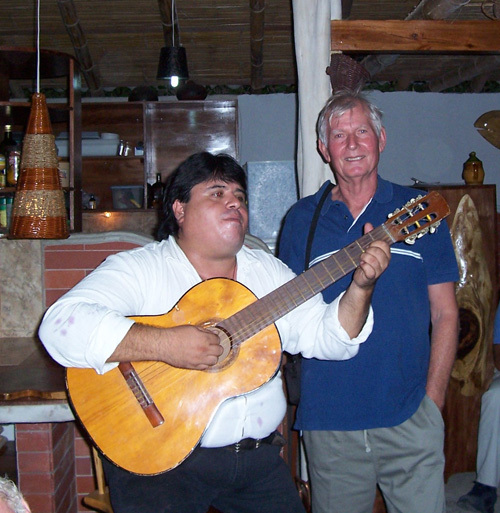 We also organize festivals, ceremonies, conventions, seminars, etc. 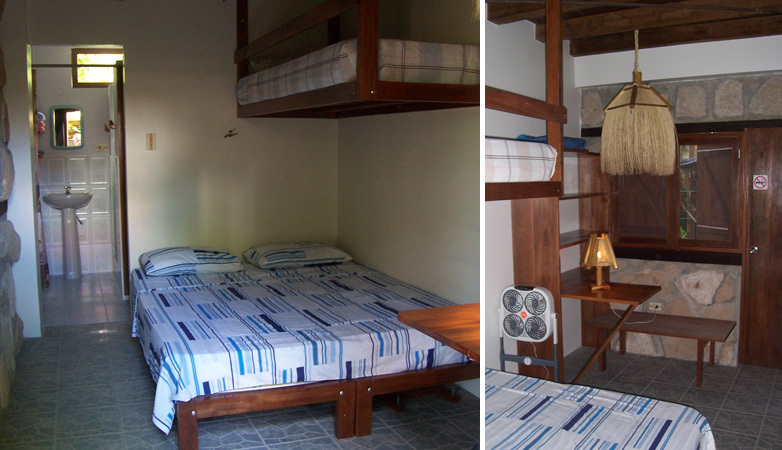 Hostal Oloncito © 2013. All rights reserved.